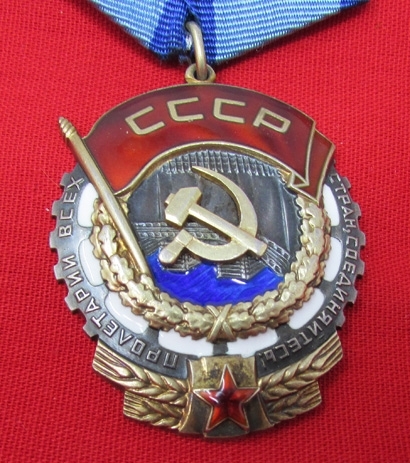 Item #45256 : Original era manufacture. 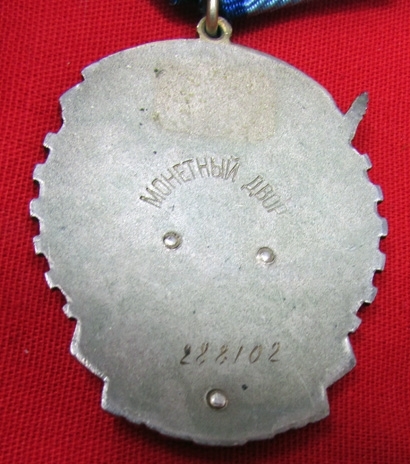 Silver medal with beautiful enameling. 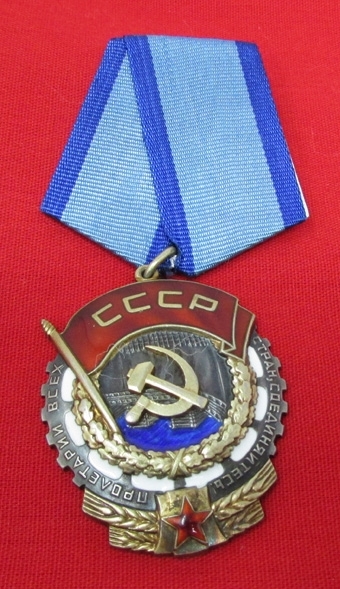 Serial numbered reverse 288102, 1950's award. 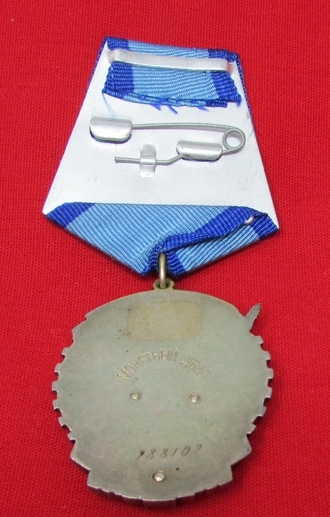 Original ribbon with an aluminum backing plate. Very nice example, with no damage.